A few months ago my half-sister approached me and asked me to help her with her son and daughter-in-law’s baby shower. 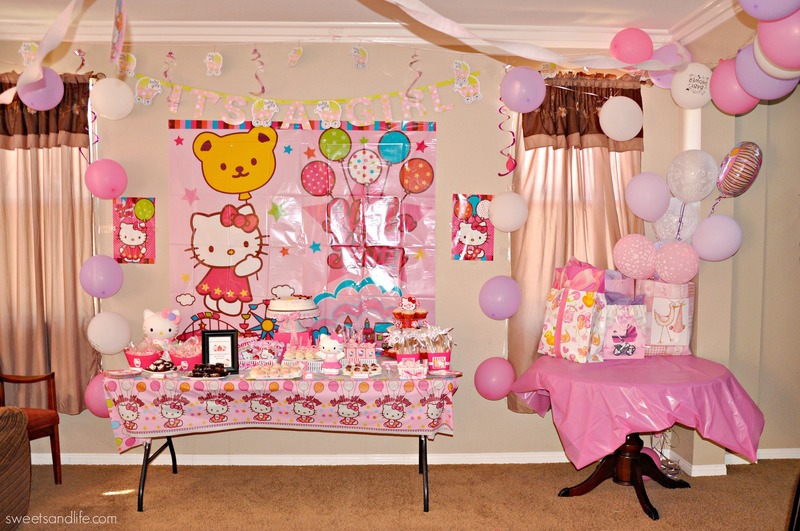 If you have been following my blog you know that she had me by the time she announced that it would be a pink Hello Kitty baby shower. I helped her out by doing the dessert table for her. I began a baking a week before the baby shower because I’ve learned from previous parties that sugar cookies work better with royal icing when they are completely dry. 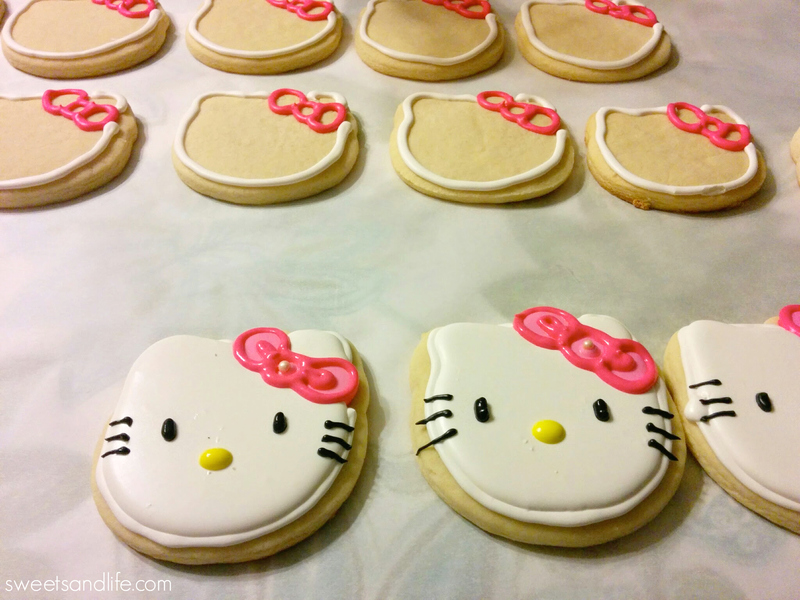 I used Sugarbelle’s recipe for sugar cookies because I’ve always had good results with it. 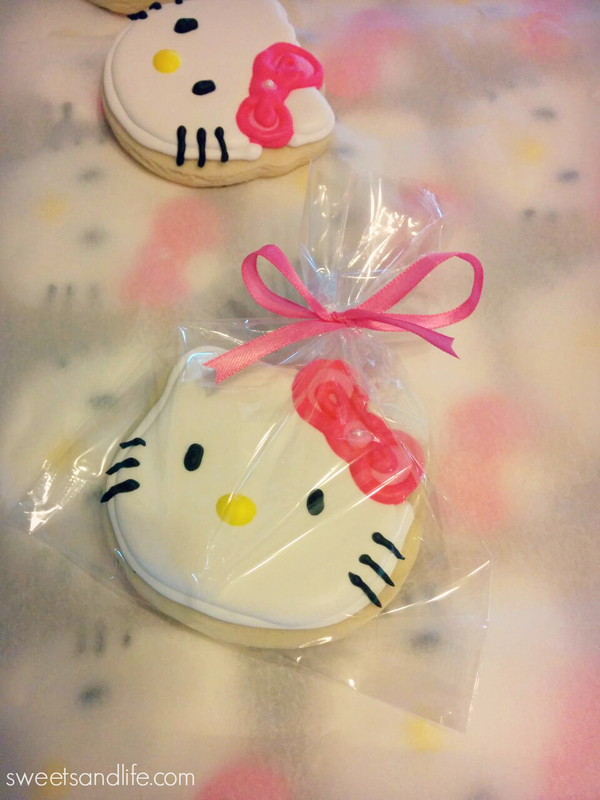 Once completely dried I placed the cookies in cellophane bags and I added pink ribbon that I already had. 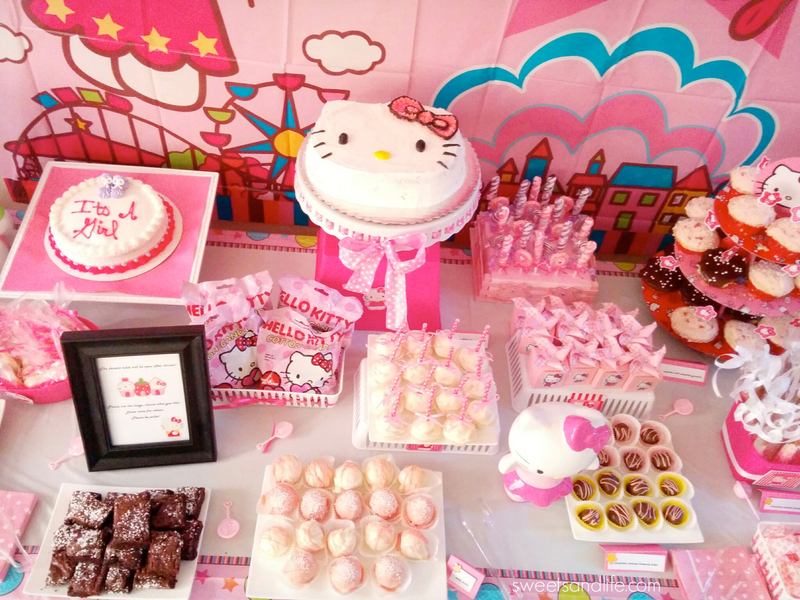 I worked on the Hello Kitty cake the day of the baby shower. I baked a Hershey’s chocolate cake and frosted it with a buttercream frosting. 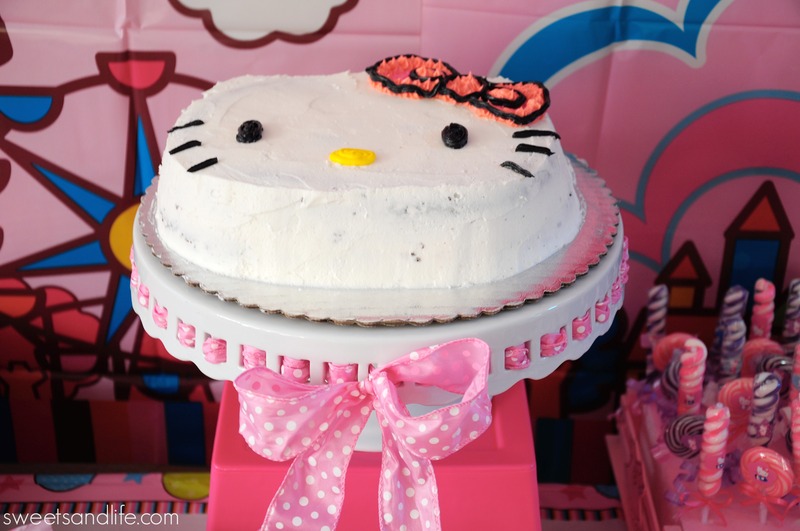 I use the Hello Kitty cake pan mold and I loved how the cake turned out. My mom loves chocolate covered pretzels so I had to include those in the dessert table. 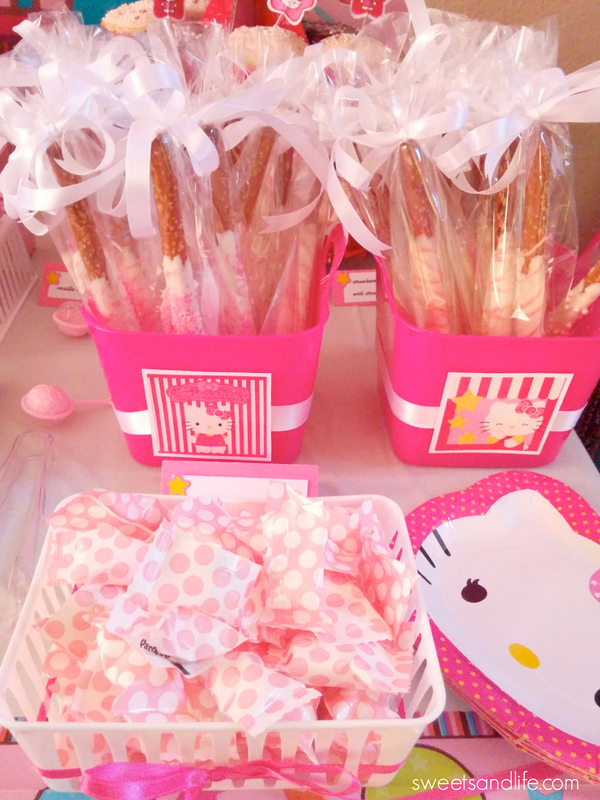 I purchased the pink baskets at the Dollar Tree and the Hello Kitty in front of the baskets are actually stickers placed over cardstock. 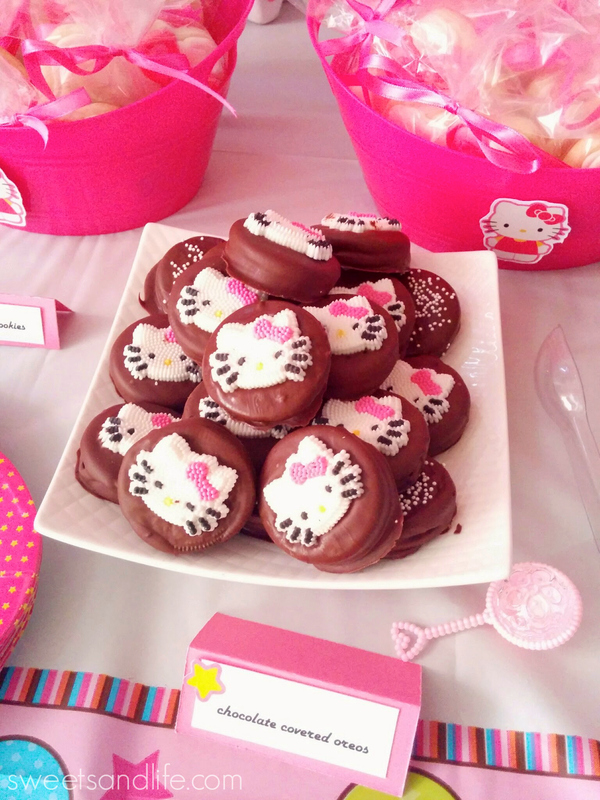 Another must have item in any dessert table are chocolate covered Oreos which I love. I made the same type of sign I did for my daughter’s 1st birthday dessert table. The dessert table will be open after Dinner! Please use the tongs, chose what you like! Leave some for others, Please be polite! 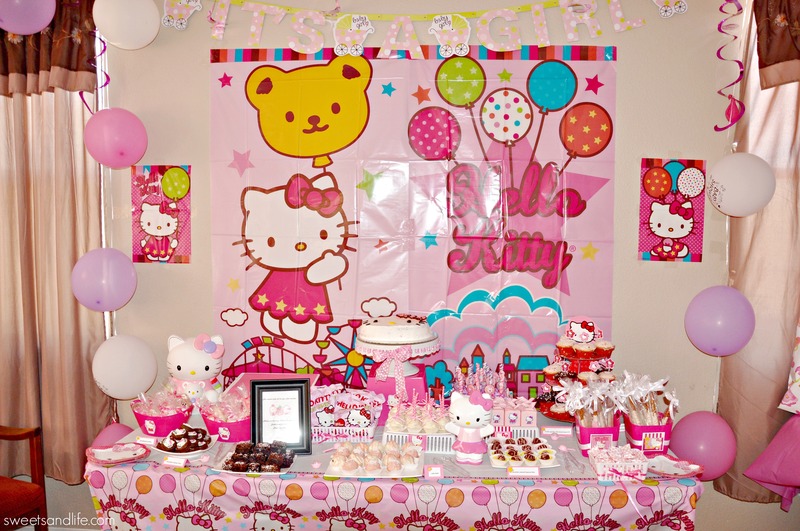 Here’s the final dessert table. 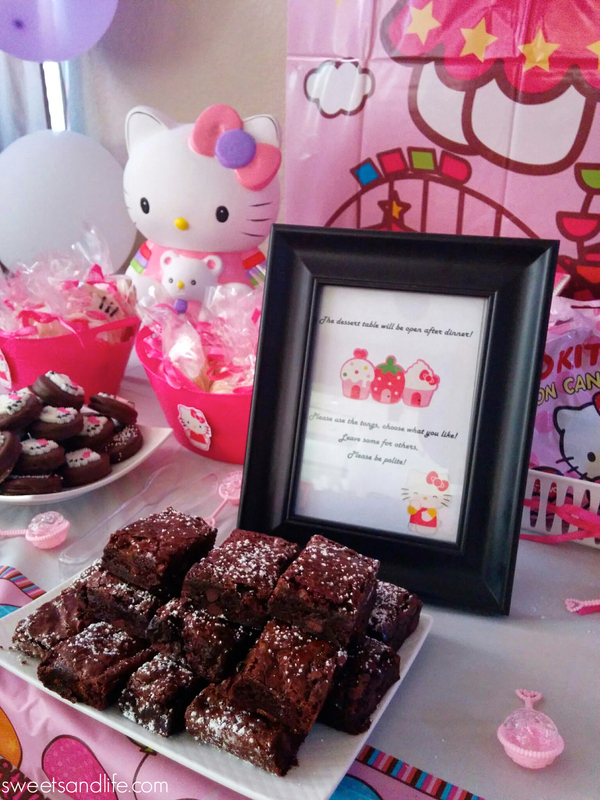 I baked brownies, cake pops, cake balls, brownie bites, and cupcakes. I used Billy Vanilla, Vanilla recipe for half of the cupcakes. My niece and sister decorated the background. 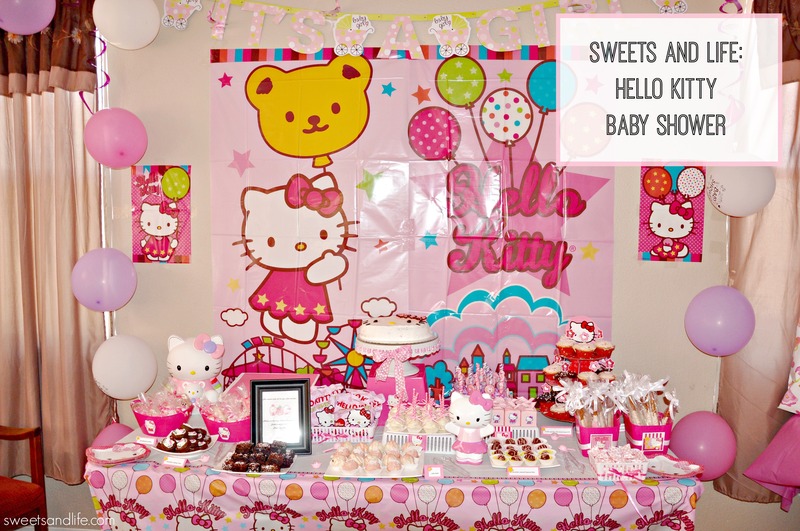 I hope you guys enjoyed the dessert table I created for baby Natalie. I’m glad to say that last week my nephew and his wife had a healthy little girl. My goodness gracious, you are a dessert table prodigy! I hope everyone is enjoying their weekend. The little one kept me up all night with a terrible cough so I missed a @latinageeks event this morning. Time to start that #easter prep. Happy Wednesday! We’re half way through the week. I hope everyone is having a great day so far. This photo is from this past weekend. If you’ve never been to the Nature Center you need to check it out. This little oasis in the middle of the city.